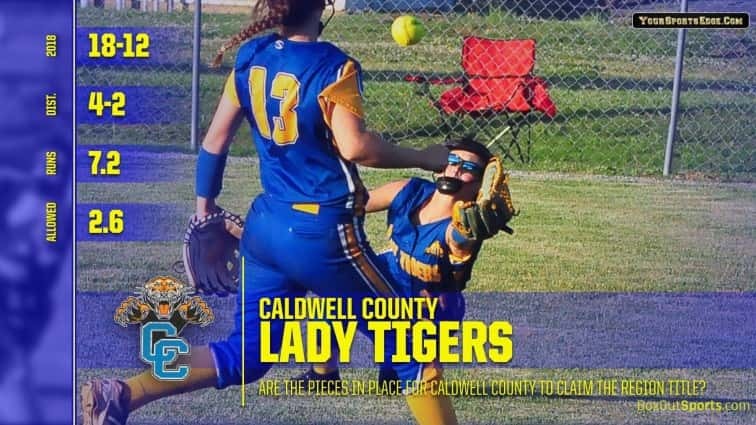 Caldwell County’s players don’t remember the last time the Lady Tigers won a district championship — 17 years ago — but they certainly recall the last time Caldwell almost won the regional tournament. Caldwell’s girls could not have gotten much closer to the 2nd Region championship without actually winning it last season. And the Lady Tigers likely haven’t forgotten. Caldwell battled regional favorite Christian County to extra innings before falling 5-3 in nine innings. The fact that game included a questionable call in the outfield that went against the Lady Tigers just gives Caldwell even more motivation for the 2019 season. All of that aside, a strong senior class is what will put Caldwell in contention in both the 7th District and the 2nd Region this season. Four seniors are already set to play college softball. Mashea Glover has signed with Murray State University while pitcher Katie Franklin will play for Asbury College. Emma Staples has signed with Frontier College and Haley Stiles will play collegiately at Lindsey Wilson. Two juniors, Madi Choate and Karlie Rennison, have colleges looking at them as well. Franklin will anchor the Lady Tigers inside the pitching circle. 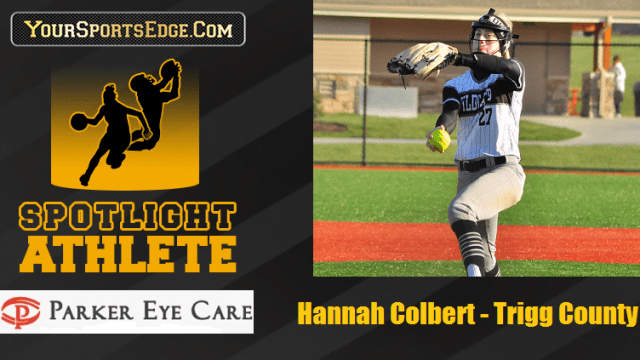 She was 15-12 against a solid schedule last season, turning in a strong 2.03 earned run average. She had 212 strikeouts in 162 innings of work. Franklin was also a big part of the offense last year, batting .293 with a pair of home runs and 17 RBIs. But the big stick in the Lady Tiger lineup belongs to Glover, who slammed nine home runs and drove in a team-high 42 runs while hitting .517 for the season. Twenty-five of Glover’s 45 base hits last season went for extra bases. She also scored a team-best 43 runs. Glover will start behind the plate defensively. Staples was next among the regulars, hitting .354 with a home run and 12 runs batted in while playing a multitude of positions defensively. She takes over at shortstop this season. Stiles, who plays third base, hit .311 and drove in 13 in 2018, rounds out what should be a solid defense on the infield. Just about everyone returns from last year’s 18-12 squad. J’Aimee Burke, who is now at Lindsey Wilson, was the only senior a year ago. Meanwhile, shortstop Peyton Young has elected not to return for her senior season. Choate looks to move to first base his season but could still see time in the outfield. She batted .292 last year with four homers and 29 RBIs. Sophomore Shelby Lane could also see action at first. Allie Felker, another sophomore, can play several spots but appears headed to second base. She hit .244 with one home run while knocking in 12 last season. Rennison returns in the outfield and figures to start in center. Freshmen Illysa Stallins and Majah Hollowell will see time in the outfield as well, along with sophomore Nicole Cravens. Stallins is also being counted on to take some of the pitching load off of Franklin. While Caldwell is definitely a player in the 2nd Region this season, the Lady Tigers still find themselves chasing Madisonville-North Hopkins in the 7th District. The Lady Maroons have won the last six district titles and own a 25-game winning streak against the Lady Tigers. Caldwell has never won a 7th District softball championship. The last time the Lady Tigers claimed the district crown, they were still in the 5th District — in 2002. The Lady Tigers went on to win the 2nd Region title that season — the last of Caldwell’s three regional softball championships. The Lady Tigers begin their 2019 quest on Monday, March 18, with a home game against Henderson County. Caldwell has put together a challenging schedule this season in hopes of being properly tested for the postseason.